Machiya, the old wooden townhouses of Kyoto, once dominated this city’s urban landscape. Long sturdy structures of simple grace, they closely lined the narrow streets of the city, their tiled rooftops rolling in waves to the surrounding hills and lapping at the edges of the great temples, shrines and villas that rose among them. 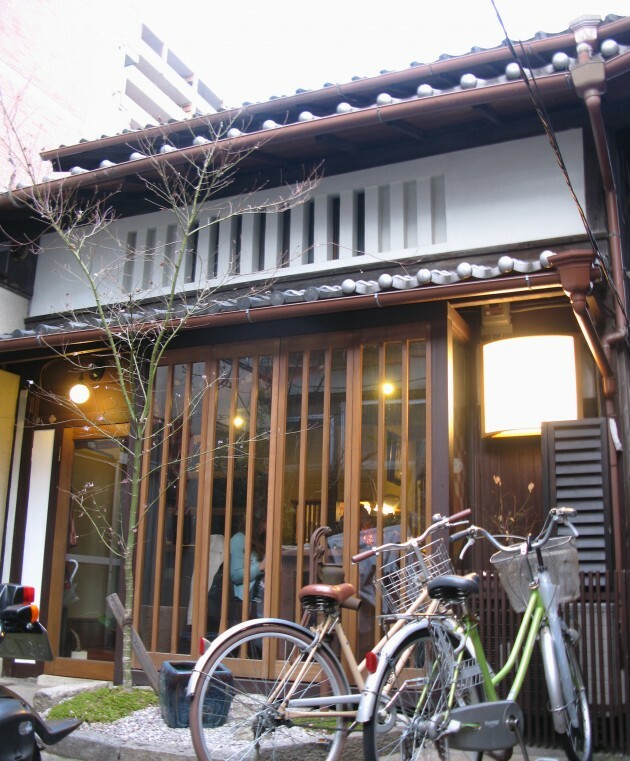 Even today, in my own neighborhood of central Kyoto, it is not hard to find machiya. Many still stand, and their dark wooden beams and refined latticework still enchant us with the flavor of old Kyoto. Tragically though many more have been lost and those that remain are hemmed in on all sides by the gray looming blocks so favored by modern developers. The old skyline of Kyoto with its sweeping sea of tiles has gone. It is easy to romanticize machiya, but maintaining these old buildings is an expensive undertaking, and without thorough renovation they can be uncomfortable to live in. Inheritance taxes are also a cruel burden. It is not hard to understand why so many are lost to make way for profitable blocks of high-rise apartments. Despite this, as Judith Clancy writes in her latest book, the trend is changing and since the turn of the century people have begun “to reject the simply new and to cherish instead the disappearing roof lines, the intimacy of neighborhoods, and the intricate interplay of material and motif.” The more astute are also seeing an investment opportunity, and converting machiya into cool modern shops, cafes and restaurants while maintaining the buildings’ integrity as traditional structures. These new businesses provide us with a unique opportunity to enter these buildings, admire their architecture and gain an intimate glimpse of machiya life. Judith Clancy’s “Kyoto Machiya Restaurant Guide” is an invaluable and comprehensive introduction to this vibrant new machiya culture. This book provides a guide to 140 of Kyoto’s machiya restaurants and cafes, with 20 singled out as Ms. Clancy’s personal favorites. There are many I have been to (so I can vouch for their quality), and also many that I haven’t, so I am happy to know there is so much yet to explore and with excellent maps, details and directions they all look to be easy to find. In addition, introductory chapters describe the evolution of Kyoto’s machiya culture and design within a historical context, and celebrate the revival of machiya values in recent years. An excellent photo essay by Ben Simmons also acts as a guide to differing machiya design characteristics as well as helping the novice to appreciate their simple beauty. Indices by both cuisine and shop name provide easy reference. And with a glossary of culinary terms, plus a guide to Japanese table manners, this is a very handy tool for both the ardent foodie and the Kyoto explorer. The small businesses featured in this book are helping to preserve and revive Kyoto’s machiya culture for future generations and so a book that supports those businesses in turn is to be praised. Like the humble latticed fronts of machiya themselves, the guide’s simple title belies the wealth of content within. This book is much more than just a restaurant guide, but an invitation to open a window on one of this city’s most fascinating aspects. 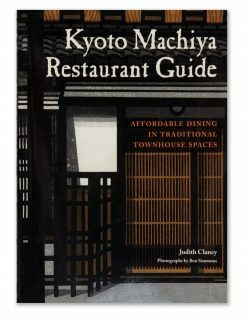 Judith Clancy’s “Kyoto Machiya Restaurant Guide”, is an essential addition to the Kyoto lover’s library. Judith Clancy is the author of Exploring Kyoto: On Foot in the Ancient Capital, long a favorite walking guide to the city. 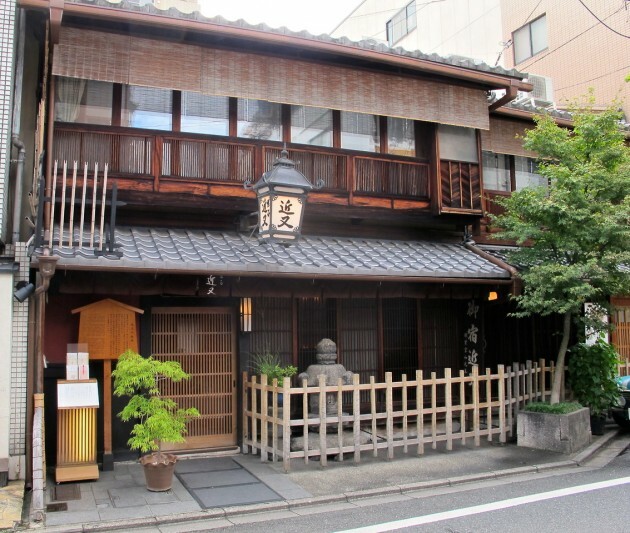 A portion of the proceeds from Kyoto Machiya Restaurant Guide are being donated to the Kyomachiya Machizukuri Fund to support machiya preservation.